Rev. 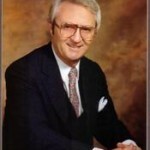 James C. Sweeton, of Chicago, IL passed away on July 15th surrounded by his family. Reverend Sweeton was born in Los Angeles, California and spent his high school years in Long Beach, California. He attended Poly Tech High School in Long Beach and excelled academically as well as in the sports of track, baseball and football. He set a California State High Jump Record while a senior in high school. He continued his education at the University of California Los Angeles, John Brown University where he attained his Bachelors Degree. He then attended Grace Theological Seminary in Indiana and received his Masters of Divinity. He received his doctorate in Religious Philosophy at the University of Chicago. Later in life he started many businesses including James Sweeton Associates, Public Relations Firm in Chicago, Illinois. He was an accomplished violinist, singer and choir director. He had a great love of music which he shared with everyone. His sense of humor carried many people through difficult times. He was an extremely compassionate person and made an everlasting impact on everyone he met. He is survived by his wife, Mary Kent Sweeton, his first wife Marilyn Sweeton and their children; daughters, Pam (Byron) Miller, and Lisa (Patrick) Burke, sons Tim (Peggy) Sweeton, and Jeff (Dina) Sweeton, all of the Chicago area; 8 grandchildren and 7 great-grandchildren. A Worship Celebration Service will be held at 1:00 pm, Saturday, July 23 at Immanuel Presbyterian Church, 29W260 Batavia Road Warrenville, IL 60555; 630-393-4400. Reverend Alva Steffler officiating. A private interment service was held at Oak Hill Cemetery in Geneva, IL. In lieu of floral tributes, Memorial Gifts may be directed to The Michael J. Fox Foundation for Parkinson’s Research, Church Street Station, P.O. Box 780 New York, NY 10008; or call 800-708-7644; or on line at www.michaeljfox.org or to the Northwestern Memorial Hospital Home Hospice Program, 312-926-4600. For more information, please call Hultgren Funeral Home at 630-668-0027.